CHICAGO — Indiana Lt. 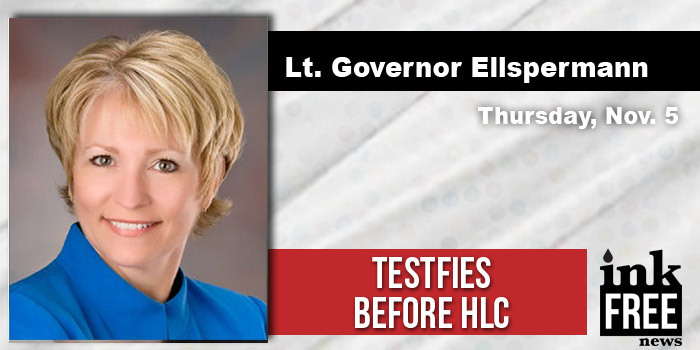 Governor Sue Ellspermann and Glenda Ritz, superintendent of public instruction, testified today before the Higher Learning Commission, a regional accreditation organization. Their testimony expressed concerns about proposed guidelines for teachers of dual credit classes in Indiana’s high schools. These concerns were also expressed in the attached letter to HLC co-signed by the Lt. Governor, the superintendent, Teresa Lubbers, commissioner of higher education and Sarah O’Brien, vice-chair of the state board of education. Dual credit classes taken in high school earn college credits for those students.